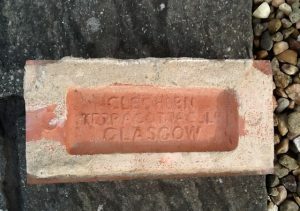 Home / Misc / Scottish Brickmarks Gallery / Various Cleghorn specials. 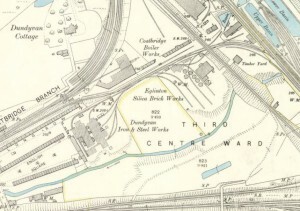 These examples were all found on the old Cleghorn Brickworks site. 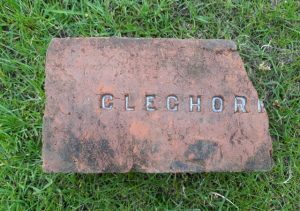 None are marked Cleghorn but until evidence suggests otherwise, I am happy to tag them as being manufactured at the Cleghorn Works. 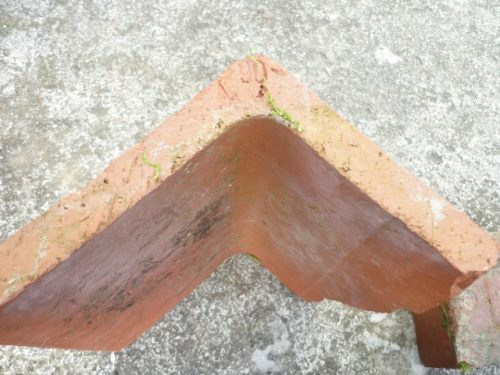 Below – 2 photos of a long tapered brick. 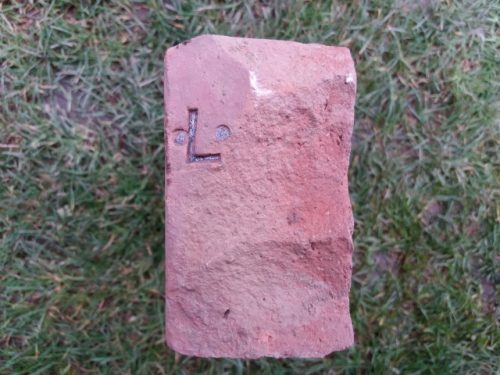 It is marked .L. 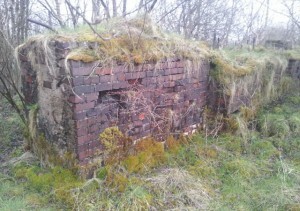 to the widest end. 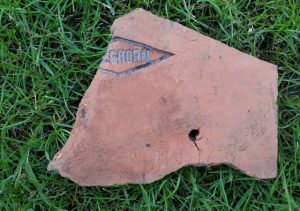 It may have had more lettering but unfortunately the end is chipped. 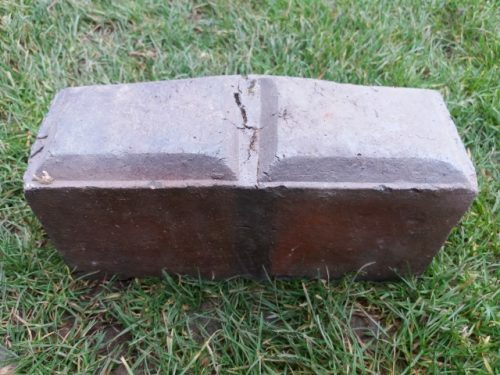 Below – an unusual stable or byre block as the cobble effect top is on the side face of the brick. 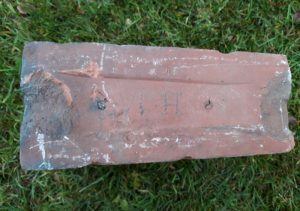 9″ long, 4″ deep and 3 1/4″ wide. 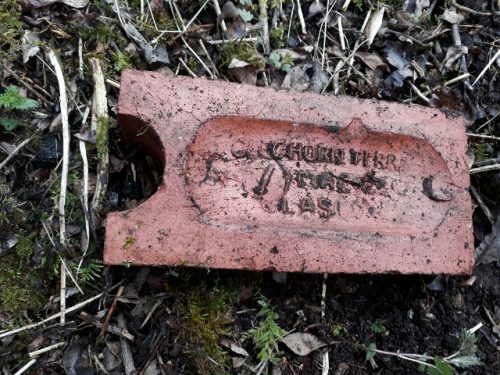 Below – unmarked with an unusual ‘dumbell’ frog. 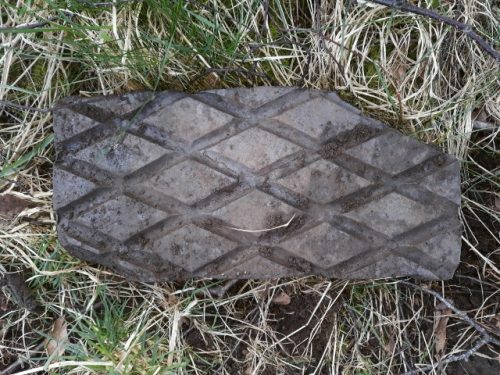 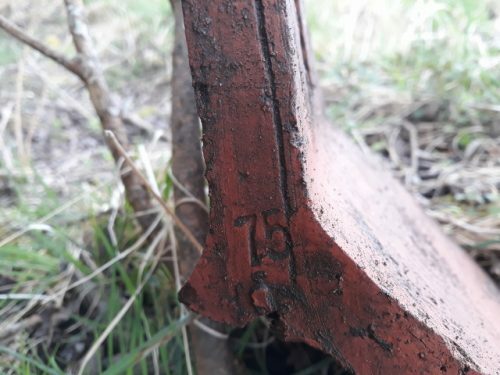 Below – a 90 degree roof ridge found at the Cleghorn site by Mat Lupton. 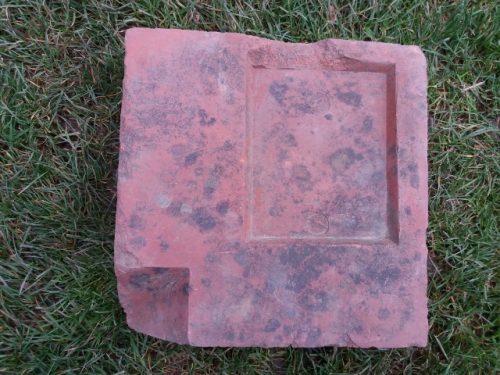 Below – a 115 degree roof ridge found at the Cleghorn site. 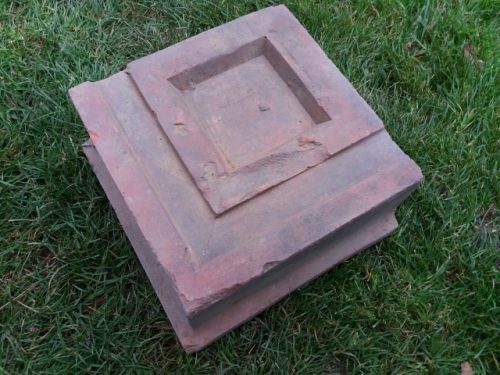 The bottom example is intact bar the roll top but I have laid a similar roll top above it in order to show what the whole tile would have looked like. 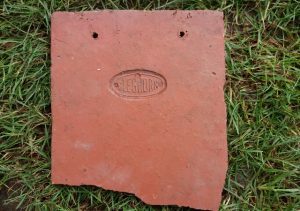 Below – a 75 degree roof ridge found at the Cleghorn site. 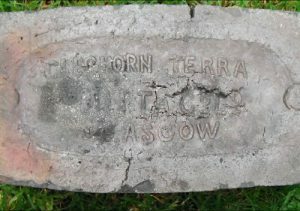 Below – examples of paver or byre blocks. 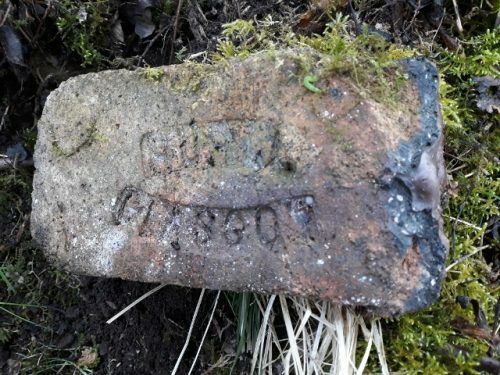 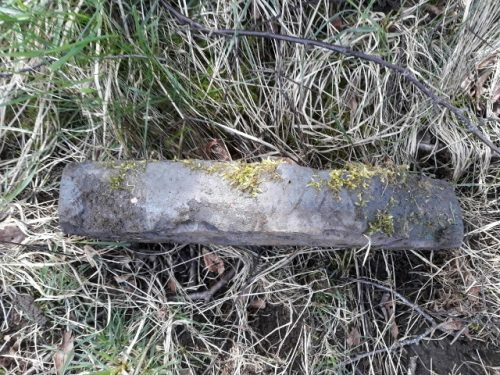 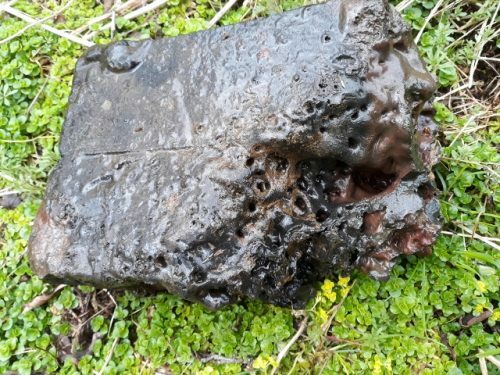 Below – the fire brick found at this location were predominantly either marked Caledonia or Hurll / Hurll Glasgow. 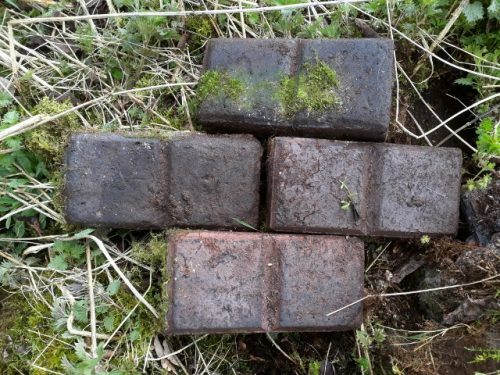 Early fire bricks marked Gartliston Fire Clay Works (Hurll) were also found. 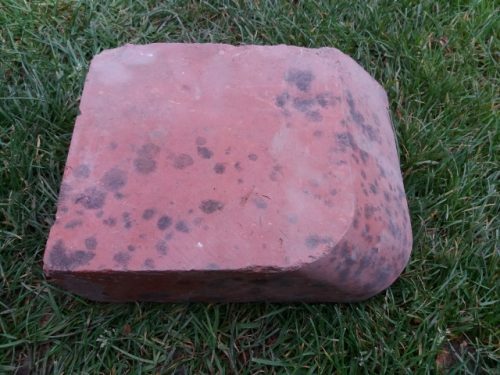 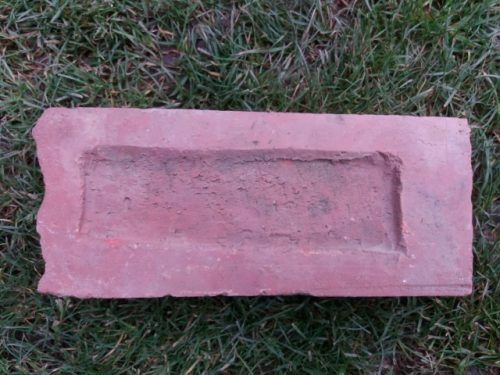 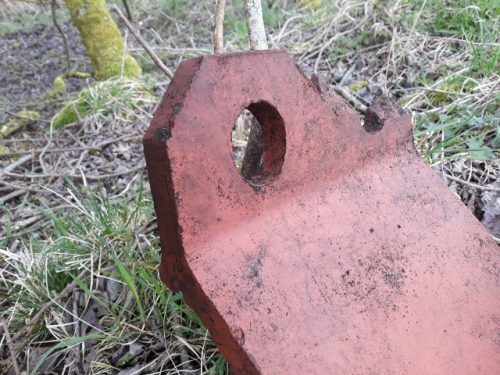 Below – A brick which just shows how hot the kilns can get. 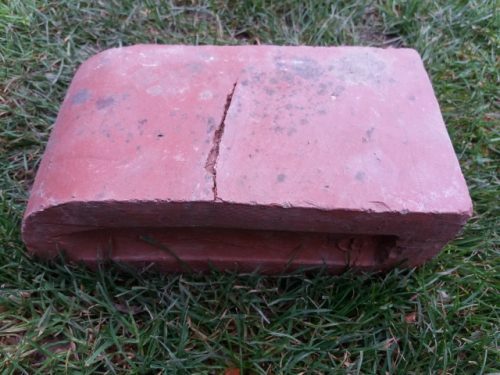 This example shows how a brick can melt! 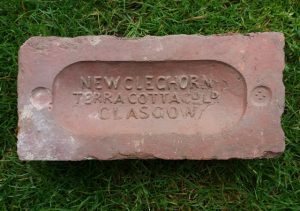 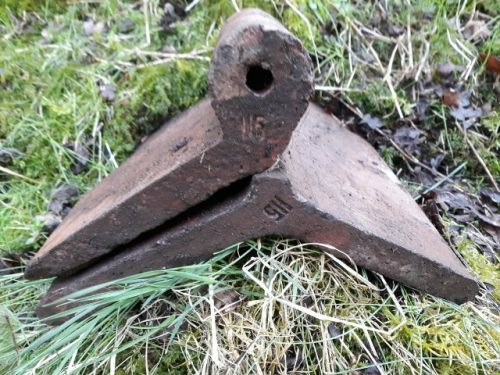 Below – a brick marked Cleghorn Terra Cotta Co Ltd Glasgow. 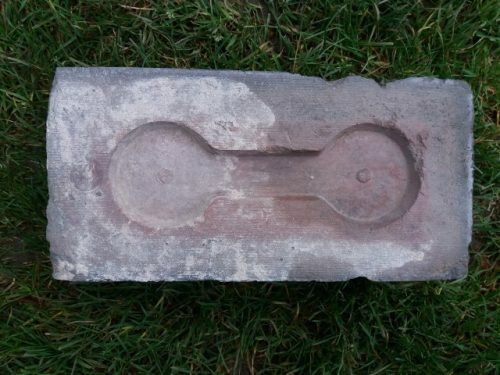 This is an elongated example with a semi circular design to one end.